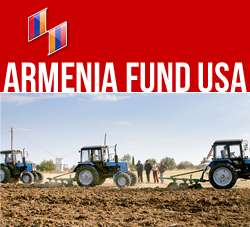 Armenia Fund USA realizes that one of the most invaluable gifts we receive is the time and commitment from our donors and volunteers. We are always in need of extra support and helping hands. Please let us know about your volunteering preferences by filling out the following online form, so we can contact you about the details. in Republic of Armenia and Artsakh (Karabakh)!